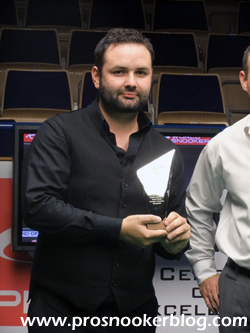 Having had chances to win in both the sixth and seventh frames it looked as though it was not going to be Stephen Maguire’s day as Jack Lisowski found himself in with a chance to clear with the colours lined up on their spots. 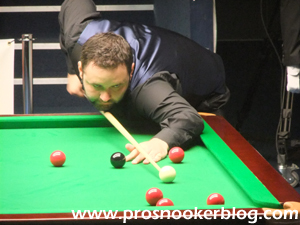 From the black however he just finished a little bit shorter than he would have ideally wanted on the yellow, and with the opportunity to win his first ranking event before him, could only rattle the jaws. A short tactical exchange followed but eventually it was the Scot who was able to clear for the narrowest of victories. PSB: You changed that after the Crucible? PSB: And your thoughts on the match? PSB: What did you think when he came on the yellow, he was a bit short wasn’t he? SM: “Yeah, I don’t count it as a ranking event, you’re not on the TV, you’re not on the big stage or whatever, but it’s getting that way, it’s very important for points. There are a lot of boys who are not doing well in the PTCs and they are actually doing alright in the ranking events and are not climbing so they are getting very important these PTCs. PSB: So what is your attitude coming into the events? PSB: And you feel like you are playing well? SM: “I played well there, that was two good days, seven matches against good players. 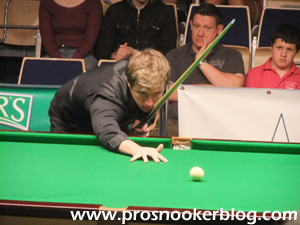 I came back against the man in form Barry Hawkins and I’m not known for comebacks, so that was a good result for me. PSB: Finally what are your targets for the season? As Stephen says, it was a good way to start the season domestically, particularly with a new cue and he will now head into the second stage of the season with renewed confidence as he bids to capture that elusive trophy. As well as the £10,000 top prize, Stephen adds 2,000 important ranking points to his tally and will surely be among those competing at the Grand Finals next spring. For Jack meanwhile it will be a bitter pill to swallow, but after what was a difficult second season for him in 2011/12, there are a lot of positives to take from the event for him. 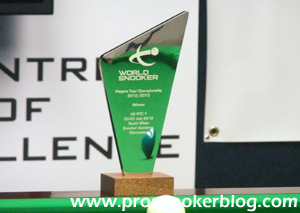 The way he played to defeat Judd Trump and Mark Williams earlier in the day, it will not be long before he is back in a position to win one of these and hopefully today’s experience will help him when he is.